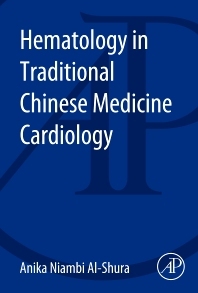 Hematology in Traditional Chinese Medicine Cardiology instructs readers on the blood, complement and immune system from the western and Chinese medicine perspectives. The book focuses on the cardiovascular issues concerning blood and the immune system, provides laboratory values concerning blood and the cardiovascular system, and covers cardiovascular diseases from the Chinese medicine and western medicine perspectives. It compares the eight principles in traditional Chinese medicine with basic science perspectives in western medicine, analyzes laboratory blood testing for heart diseases, and discusses the use of blood results for diagnosing and monitoring.